A famed British computer security researcher has lost several key motions in a federal hacking case that stems from his alleged contribution to two types of banking malware. The rulings mean that statements made by Marcus Hutchins, 24, of Devon, England, during questioning by FBI agents at a Las Vegas airport can be entered into testimony. Hutchins’ defense team challenged the validity of the interrogation on the grounds that he was intoxicated and unfamiliar with U.S. legal procedures. His defense against the charges may now be more difficult. 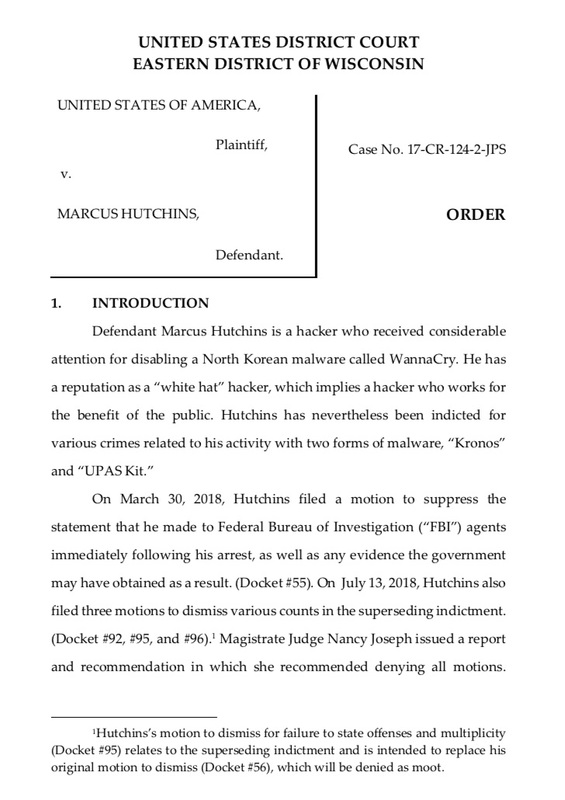 Hutchins was arrested on Aug. 2, 2017, just before he was to fly back to the U.K. after attending the Black Hat and Def Con security conferences. He is accused of developing and distributing Kronos and UPAS Kit, two types of banking malware, between 2012 and 2015. Agents escorted him from an airport lounge and handcuffed him. Hutchins admitted to developing code for the banking malware, but denied having a larger role. Hutchins also made two phones calls, both of which were recorded, in which he made further incriminating statements. Hutchins was indicted by a grand jury in July 2017 on 10 counts of computer-related violations. The case is being heard in federal court in Wisconsin. Before he rose to fame, Hutchins was known in computer security circles for his deep analysis of malware via his Twitter account, MalwareTechBlog. In May 2017, Hutchins used his expertise to defang WannaCry, a ransomware worm that rapidly spread across the world. Hutchins discovered WannaCry had been coded in such a way that he could effect a “kill switch” that would cause the malware to stop running if a certain domain name was live. He registered the domain, thus stopping additional computers from being infected. As a result, Hutchins lost his low profile and suddenly became the subject of worldwide media attention, which he appeared to accept reluctantly but with grace. 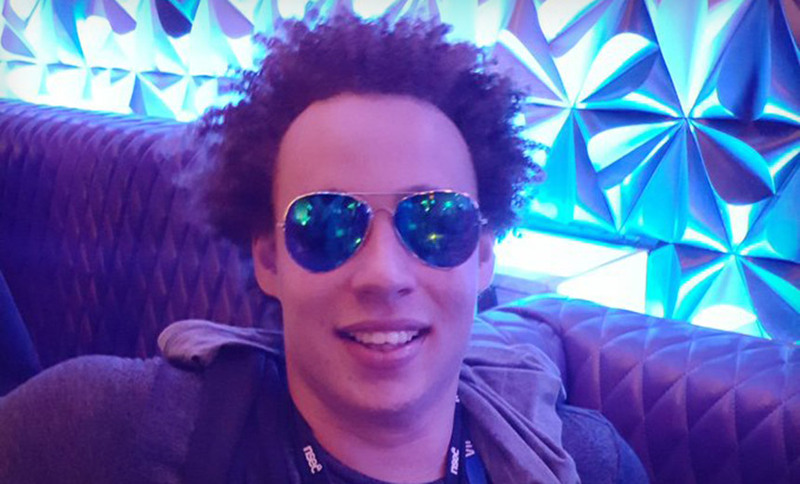 His world flipped again, however, following his arrest (see: WannaCry ‘Accidental Hero’ Denies FBI Charges). Hutchins’ attorneys filed a motion to suppress the statements he made after his arrest. They challenged whether his Miranda rights were clearly presented and whether Hutchins understood those rights. They also contended Hutchins was intoxicated at the time of questioning. But FBI agents followed Hutchins the day of his arrest to ensure he had not been drinking prior. U.S. District Court Judge J.P. Stadtmueller found that Hutchins’ did voluntarily waive his Miranda rights, even if he had come off several days’ of partying at the security conferences. Although Hutchins was “clearly confused” about the questioning, he knew it had to do with Kronos, Stadtmueller writes. Stadtmueller did note, however, that during questioning, Hutchins appeared to be unaware he’d been indicted, because agents had apparently not told him that during his arrest. He also wasn’t immediately provided with the arrest warrant. Even considering Hutchins’ tired state, however, “the government has met its burden in proving that the waiver was voluntary,” Stadtmueller writes. The judge also denied several other motions that sought to dismiss charges. Hutchins has developed a large and loyal Twitter following. He continues to track botnets, runs the Malware Tech blog and occasionally holds live video workshops showing techniques for reverse-engineering malware. He’s also been allowed to continue to work and remains employed by Kryptos Logic in Los Angeles. Hutchins demonstrates his sharp sense of humor on his Twitter feed, but he occasionally references the psychological toll that’s come from the criminal case, which he’s been fighting for 18 months. I’m debating if it’s actually possible to endure this much stress while sober. Leaning towards hard no.